PATHETIC: Diane Abbott made UTTERLY embarrassed by member of the public! 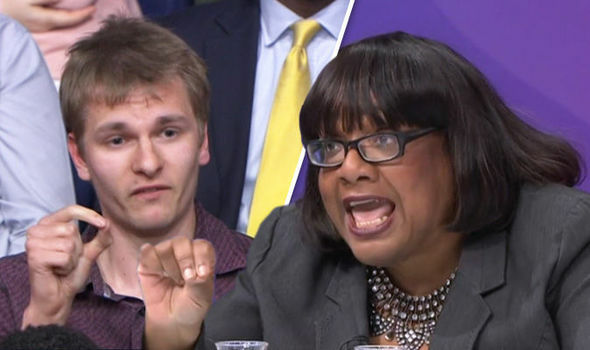 Diane Abbott MP was utterly embarrassed on public television when an audience member blasted her and claimed he would not "trust her to run a bath, never mind the country!" Diane Abbott is among a section of the Labour party who hate the United Kingdom and all it stands for. They hate the idea of British patriotism and would rather see this country run to the ground. Abbott is the Shadow Home Secretary, and at the moment has shown nothing but deep incompetence in her abilities. This is concerning, as she would like to hold one of the most important jobs within the country. Diane previously made a muck up on the radio, where she confused the numbers of police labour would implement under a Corbyn Government. Sign up to leave the EU here.